June 10th 1980: Keel struck. January 16th 1981: Aft section launched at Kalmar Yard (No. 453). 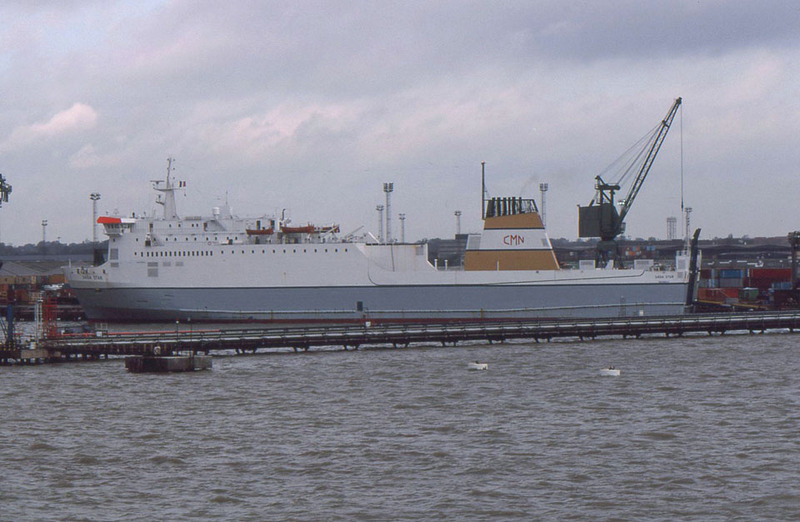 January 1981: Forward section built by Vessel Contracts Ltd, Marstrand (Launched May 3rd, 1981). Ordered from Kalmar Shipyards who began building the stern. FEAB in Marstrand built the forecastle. The middle section was built by Götaverken, Cityvarvet, Gothenburg. 1981: The ship halves were joined in Eriksbergs dry dock. Whilst in the yard there was engine room fire which delayed delivery by two months. 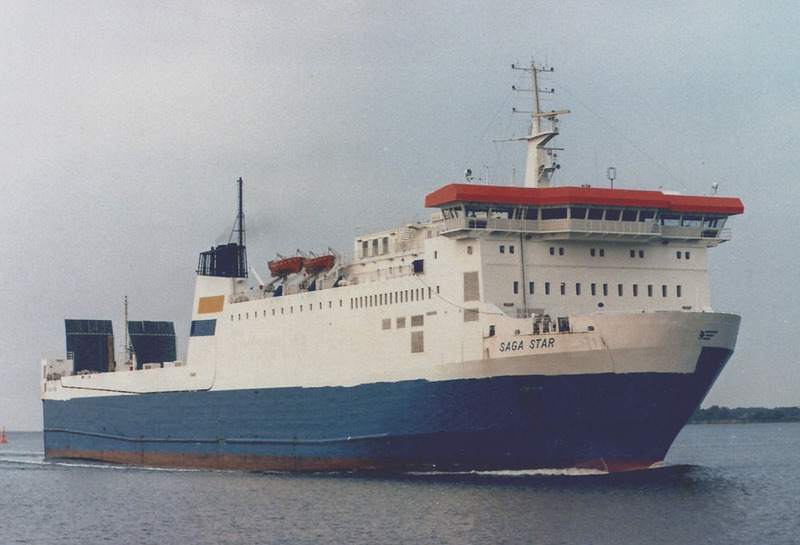 December 15th 1981: Delivered to Johnsson Line Ab/ Svelast, Helsingborg named SAGA STAR. The name was originally SAGALAND but shipping company Broströms claimed the ownership of the name. 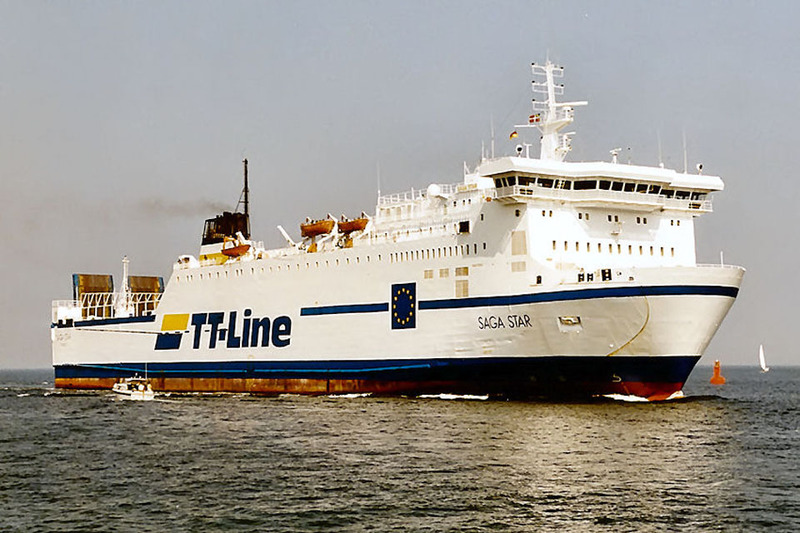 December 1981: Commenced services for Scandinavian Ferry Lines (TT-Saga Line) between Helsingborg/Malmö/ Trelleborg – Travemünde. January 1983: Sold to Svenska Lastbils Ab, Stockholm. 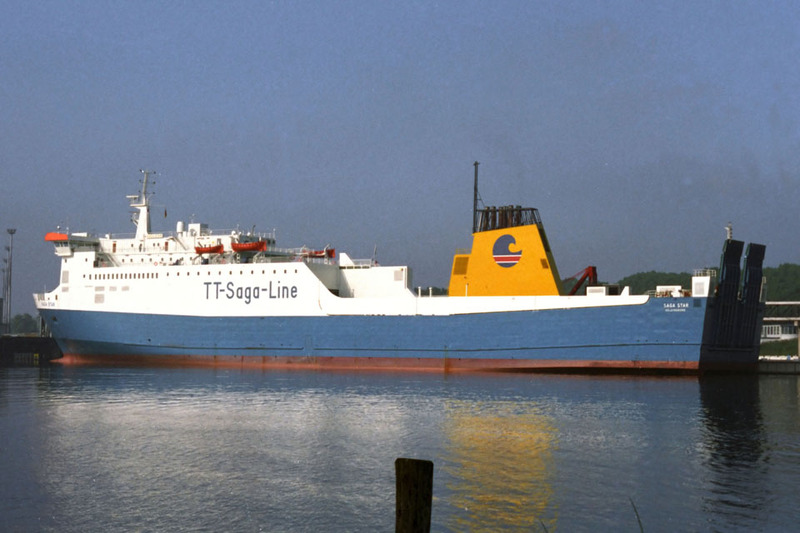 January 1983: Introduced between Trelleborg – Travemünde. January 1984: Registered to Swedcarrier Rederi Ab, Helsingborg. 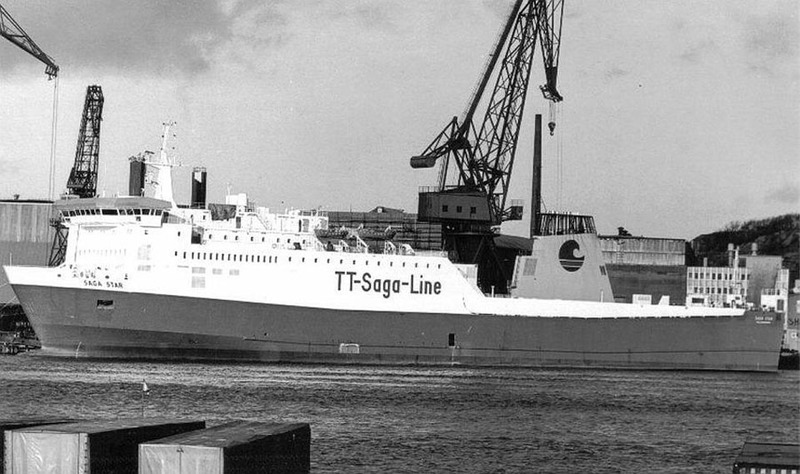 1986: TT-SAGA Line became TT-Line. 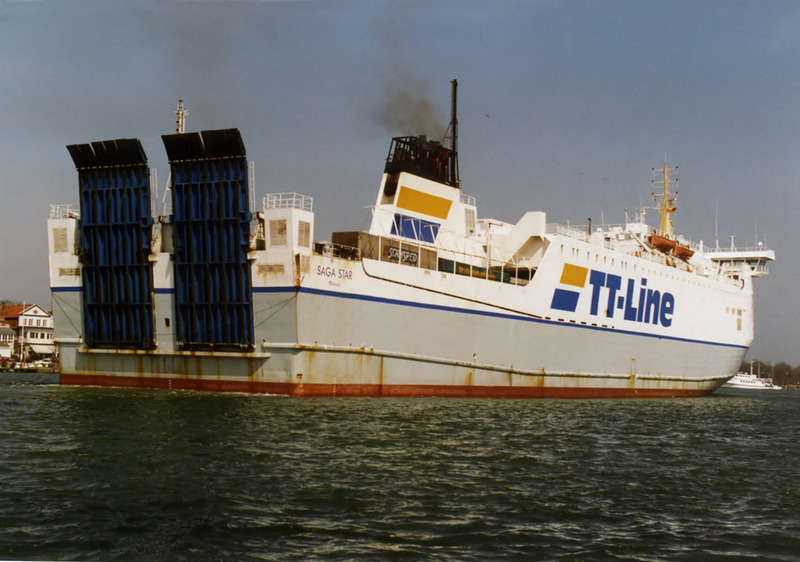 April 1988: Sold to Compagnie Meridionale de Navigation, Bastia, France and chartered to TT-Line. August 23rd 1988: Final day in service. 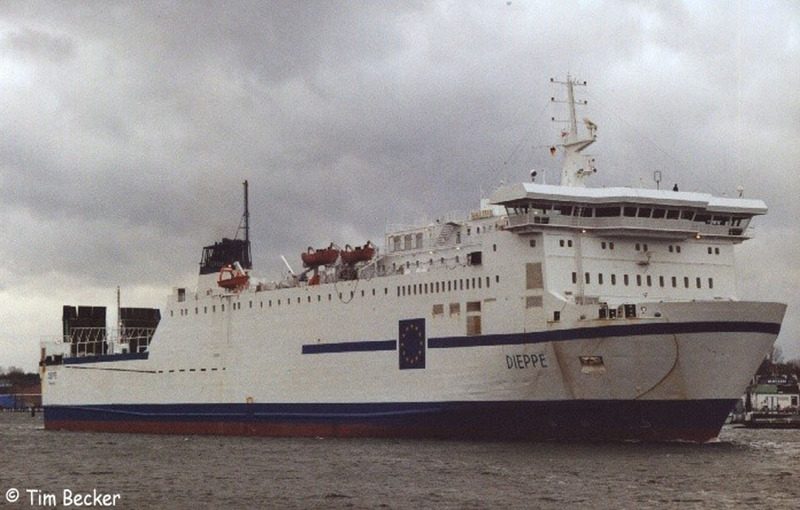 October 1988 – February 1989: Chartered to DFDS A/S, Copenhagen for services between Bremerhaven – Esbjerg – Cuxhaven – Immingham/ Harwich. February 23rd 1989: Left Cuxhaven for Marseille. March 5th 1989: Arrived in Marseille. 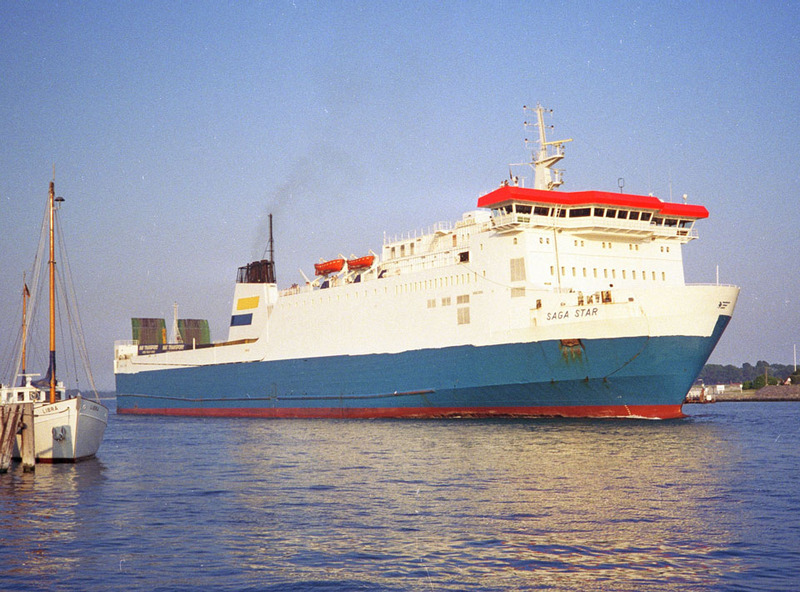 March 3rd 1989: Rebuilt at CMR (Cie-Marseille de Reparation) Marseille, France with new accommodation and stabilizers. 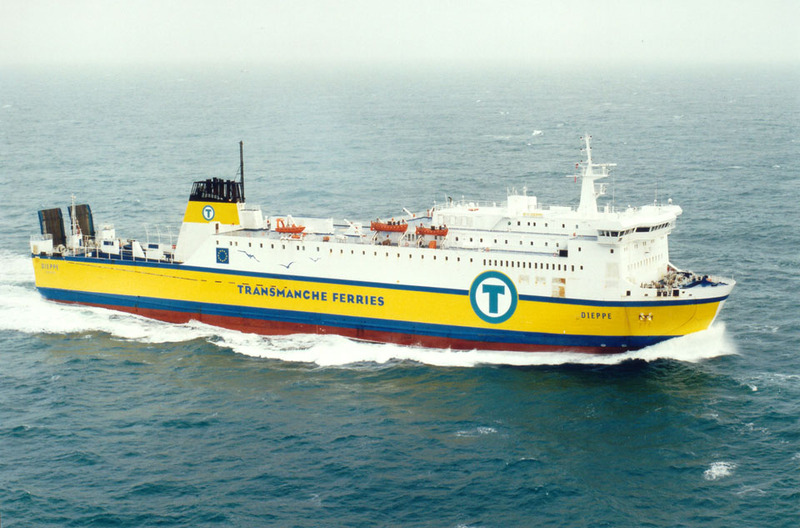 1989: Renamed GIROLATA for services between Marseille – Bastia. November 1990: Chartered to the French military as a troop transport in Saudi-Arabia. 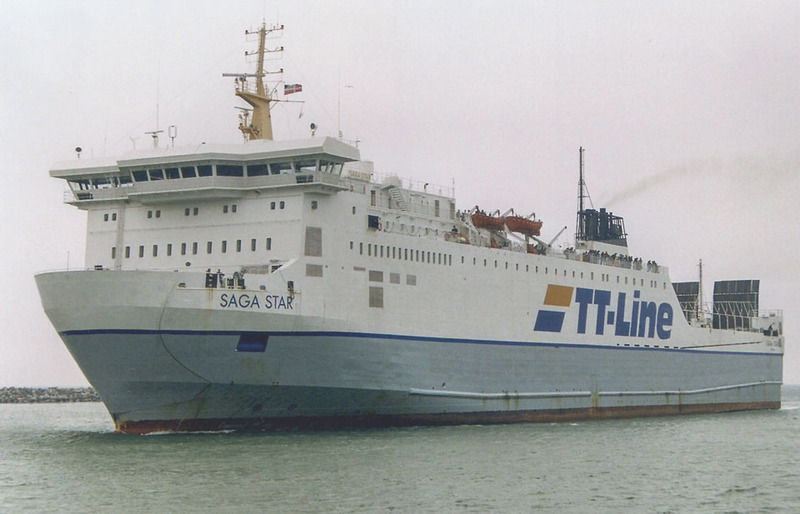 August 23rd 1993: Chartered to TT-Line, Hamburg, Germany and renamed SAGA STAR. 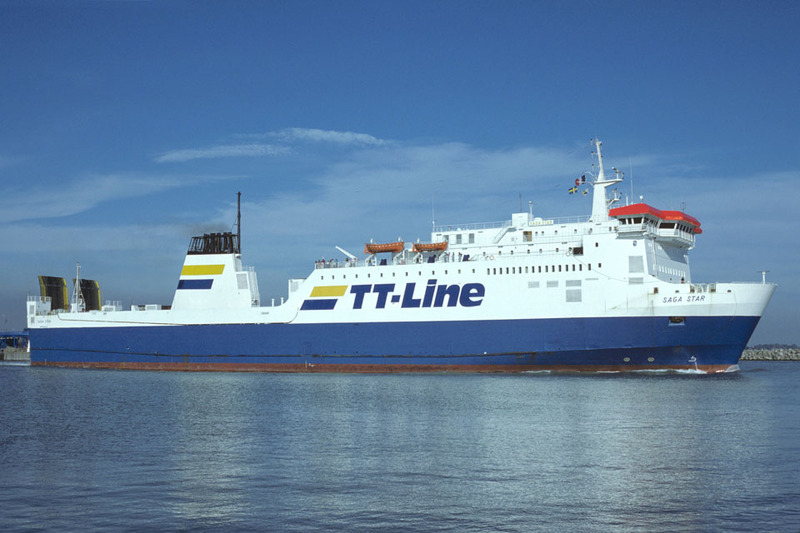 Introduced between Trelleborg – Travemünde. Transferred to Star Ferry Ltd, Nassau, Bahamas. 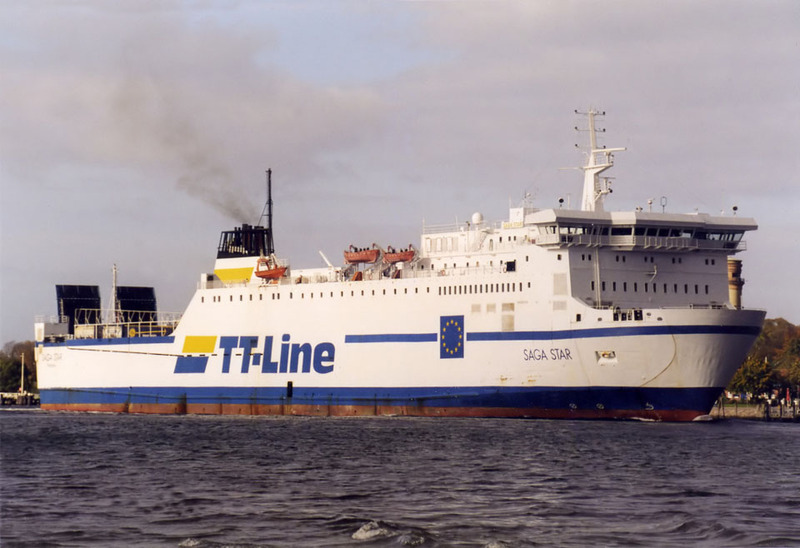 June 1st 1995: Introduced between Trelleborg – Rostock. July 1997: Sold to TT-Line, Nassau, Bahamas. (Star Ferry Ltd, Nassau, Bahamas). 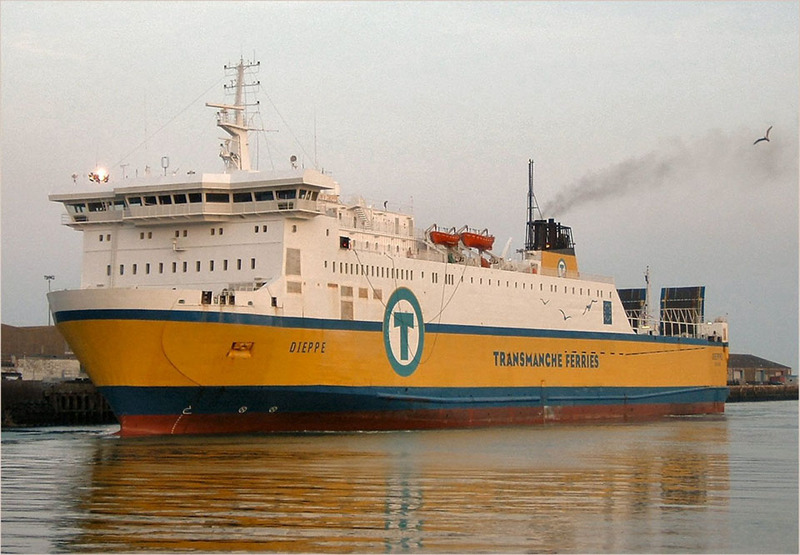 October 14th 2001: Final day in service between Trelleborg – Rostock. 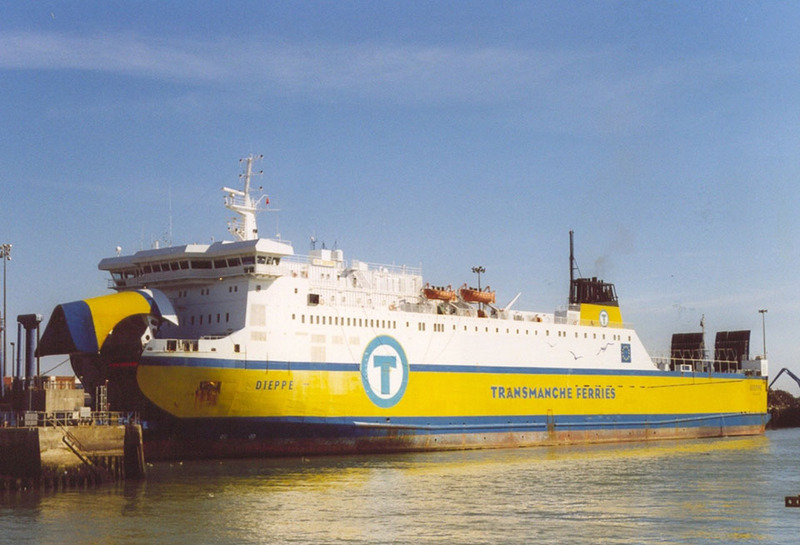 October 15th 2001 – November 3rd 2001: Services between Trelleborg – Travemünde. November 19th 2001: Taken out of service. November 2001: Arrived Flender Werft, Lübeck, Germany. January 2002: Sold to Conseil Général de Seine Maritime, Dieppe, France. 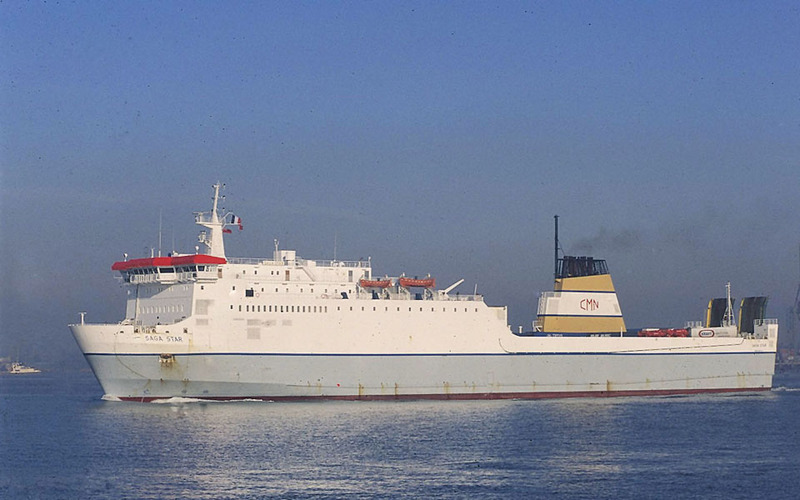 February 8th 2002: Left Travemünde for refit in Le Havre. 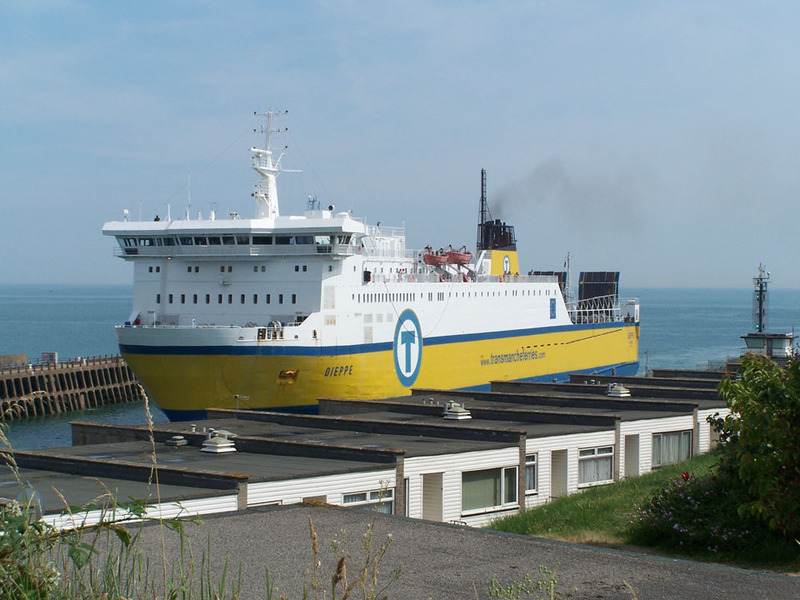 May 5th 2002: Services for Transmanche Ferries between Dieppe – Newhaven. 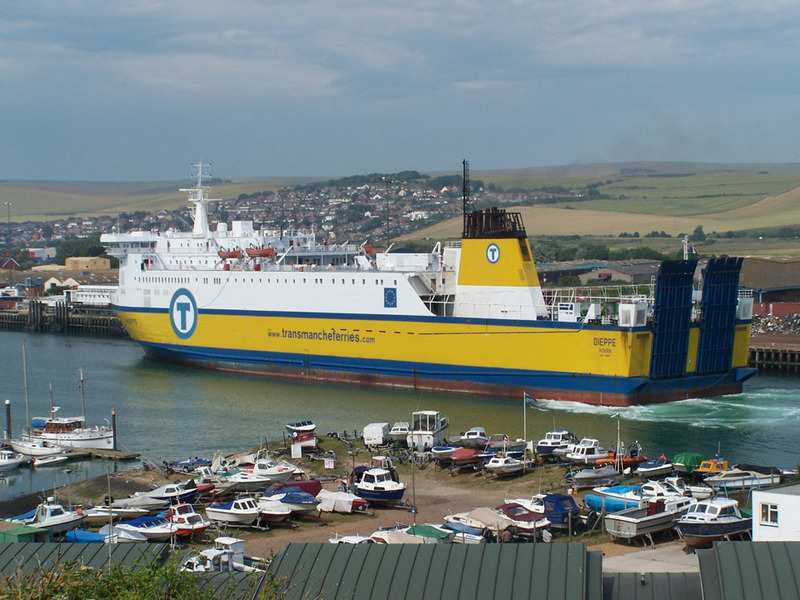 October 22nd 2002: Ran aground in at the entrance to Newhaven. Re-floated and suffered only minor damage. July 3rd 2004: Hit the pier at Dieppe. No injuries were reported but the hull was holed, pumps were put aboard and she docked with the aid of a tug. She was dry-docked at Le Havre for repairs. August 30th, 2004: 07.15hrs. The vessel grounded on a sandbank outside Newhaven. A Coastguard tug from Folkestone was called for, but was cancelled whilst en route. 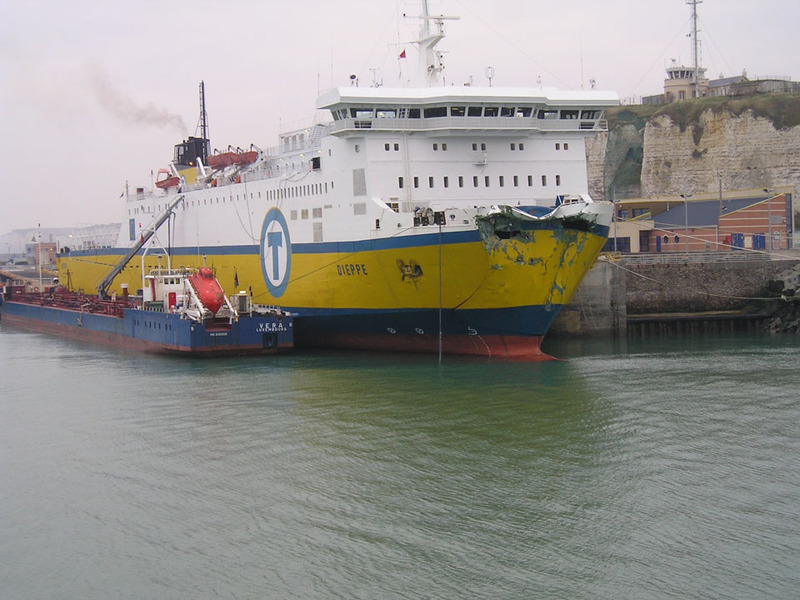 DIEPPE refloated herself at high tide (09.15 hrs). The vessel was then examined for hull damage. February 4th 2005: Sailings cancelled as she had to suddenly undergo repairs after developing serious technical problems. April 7th 2005: Back in service since. Enquiry result was that the hydraulic portside engine command broke down, so this engine went on forward position instead of backward. Luckily the captain launched the portside anchor to prevent the ship swinging and avoiding her to directly hit the berth. 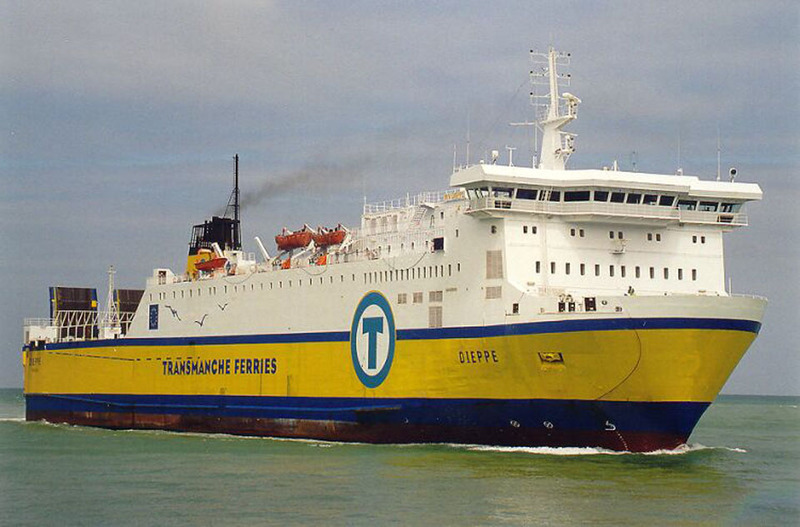 According to the new Transmanche Ferries director Damien Milliasseau-Leca it would have meant the end of the company. December 1st 2005: Trials in Portsmouth. November 2006: Laid up in Dieppe. November 2006: Sold to Polska Żegluga Bałtycka, Kolobrzeg, Poland. November 23rd 2006: Registered to Abacus SA, Panama and renamed BALTIVIA. November 29th 2006: Arrived at Stocznia Remontowa for refit and rebuild. 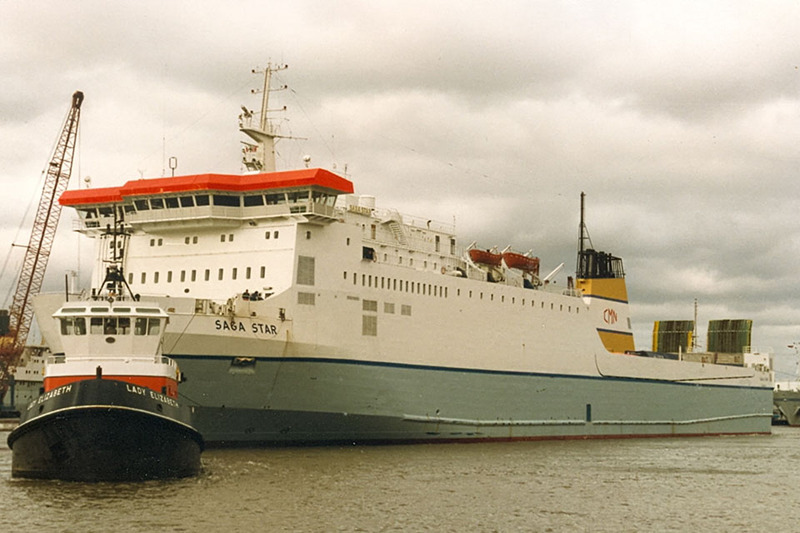 January 8th 2007: Services between Gdansk – Nynäshamn. 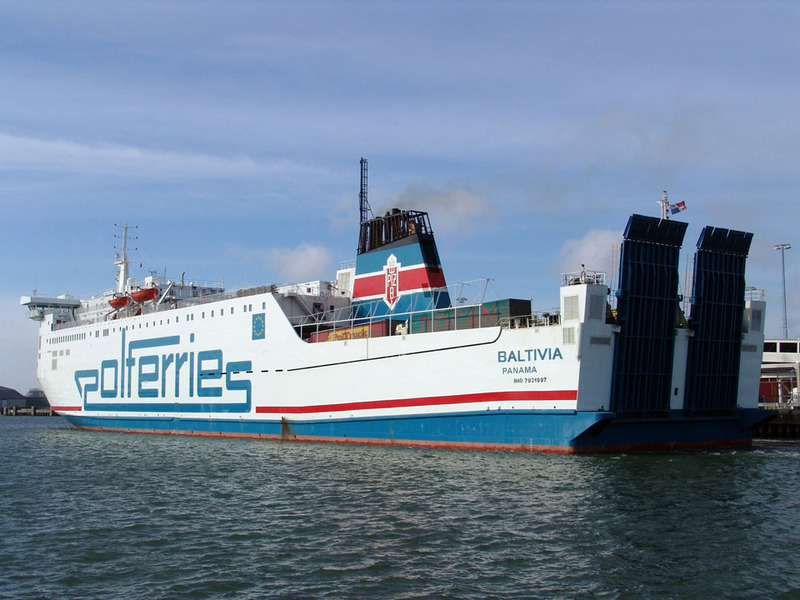 February 26th 2007 – March 11th 2007: Services between Swinoujscie – Ystad. 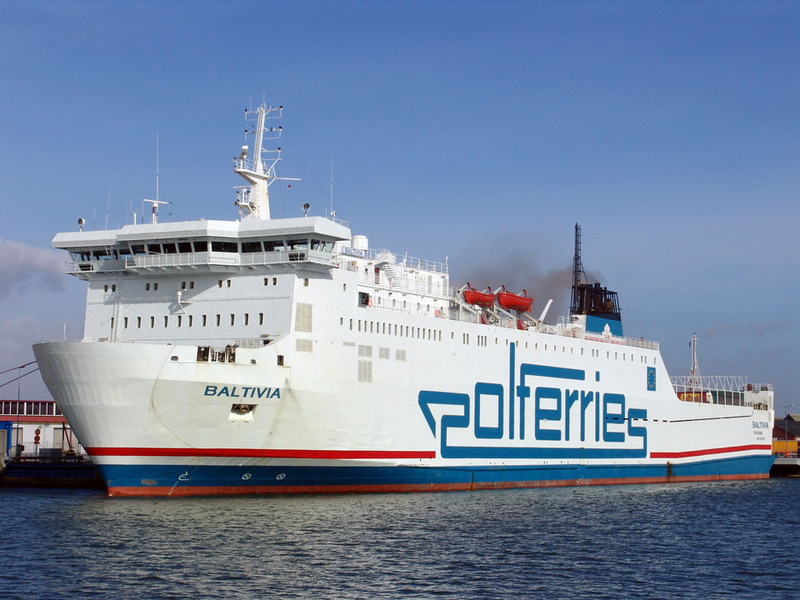 March 12th 2007: Introduced between Gdansk – Nynäshamn. 2007: Transferred to Abacus Co, Ltd, Nassau, Bahamas (Management Polska Zegluga Baltycka S.A, Poland). 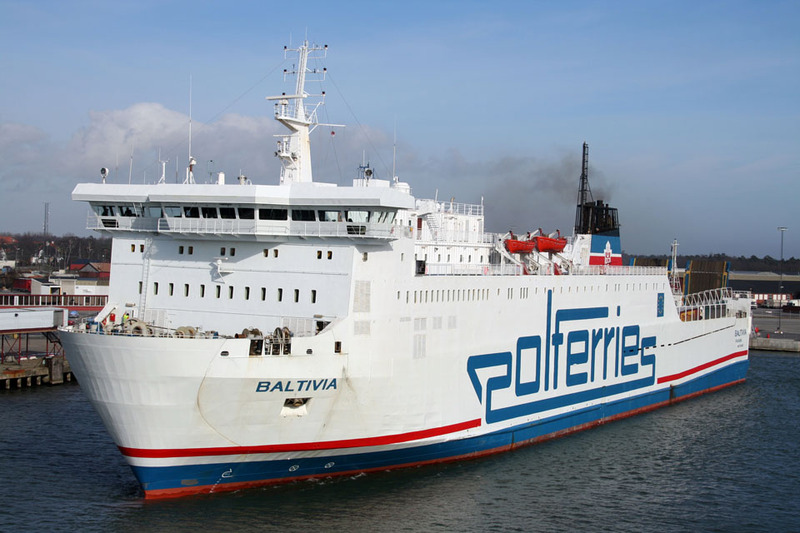 January 2013: Services between Swinoujscie – Ystad. All information is believed to be correct and no responsibility is accepted for any errors or omissions. All items included in this article are subject to © copyright. We would like to take this opportunity of thanking: Tim Becker, Carsten Dettmer, Christian Eckardt, Ferryman, Andrew Gilbert, Frank Heine, Pieter Inpyn, Dirk Jankowsky, Wolfgang Kramer, Ken Larwood , Derek Sands, Simonwp and Andreas Wörteler for their assistance in producing this feature.